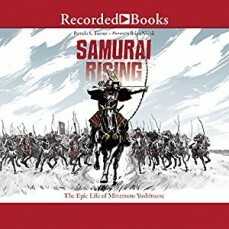 TURNER, Pamela S. Samurai Rising: The Epic Life of Minamoto Yoshitsune. 4 CDs. 4:51 hrs. Recorded Books. Oct. 2016. $46.75. ISBN 9781501936265.